Through the great kindness of Dr. John Bacchus Dykes Bower, organist of St Paul’s Cathedral, we have been allowed to see some letters written to J. B. Dykes by the Vicar of Monkland during the year immediately preceding the appearance of the 1875 revision of Hymns Ancient and Modern. The agenda in the selection we are reprinting here – and unhappily we have no hint of the replies that Dykes sent to any of these letters are (1) a new hymn by Mrs E. S. Alderson, sister of J. B. Dykes, which had given Baker much trouble and (2) certain details of the kind that at the last minute every editor has to decide on. In order to understand what follows we must first quote in full the hymn which Mrs Alderson had written, at the request of Dykes himself, and which presumably Dykes had sent on to Baker. It will be recognized as the original of a hymn which has found its way in a drastically revised version into several current hymnals. The throbbing brow and labouring head grow still. Thy spirit to Thy Father and Thy God. In love, o’er mortal agony victorious. Blending for aye the human and divine. But light is dawning o’er humanity. And so, at eventide, there shall be light. And then, 0 then the everlasting rest! 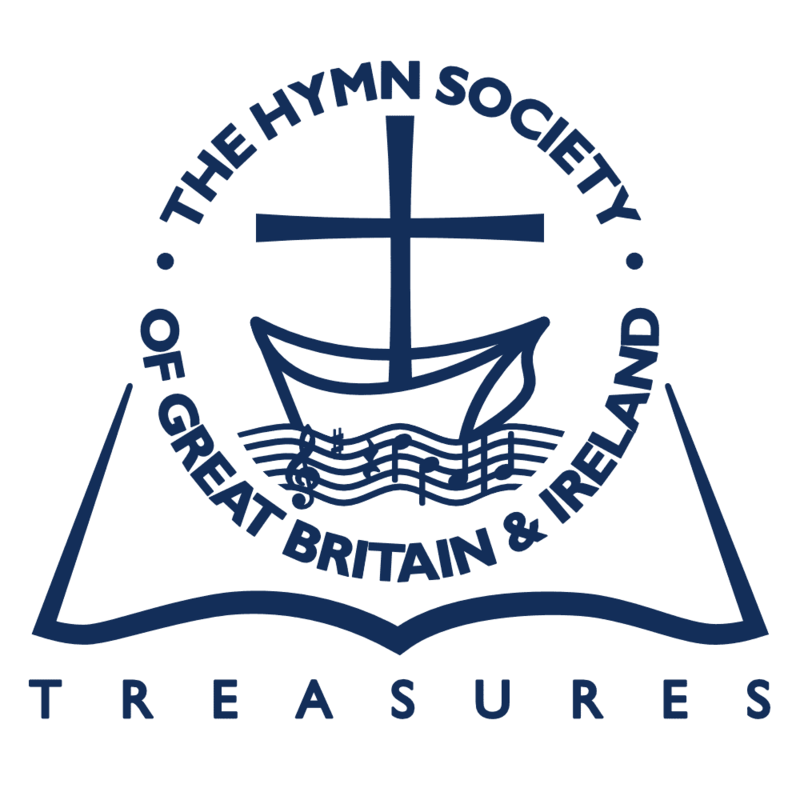 We have copied this hymn from the manuscript furnished by Dr. Dykes Bower, exactly as it stands there, adding only full points at the ends of verses. The revised version of these words went into the 1875 edition of AM as no 121, and appeared after that at EH 119, and CH 103. Bakers letters reveal him as an impetuous, repetitive and (by the stands of his time) far from elegant letter-writer. Thanks for yours today. We will print the tune for ‘Ten thousand’ as you wish. But I am sorely disappointed at nothing from you or Mrs Alderson yet as to her hymn on the 7th Word. I really do not know what to do. I have been expecting your promised letter day by day. You said ten days ago or more that you should see her ‘in a day or two’. I cannot think it right to say that our dear Lord did not die with our sins on Him. It contradicts types of Him: & seems to me to destroy the efficacy of His death. At the very least it is surely most unwise to introduce a statement that must perplex, must be doubtful, into a meditative Hymn at such a service: and I am perplexed beyond measure as to what to do with printers waiting &c. I wish I had written to her myself, only on a point of theology I seemed to think she would be guided, as I fancied she had been, in the Hymn by you. I never could sing that Hymn in Monkland … Surely some other words could be inserted for the 2nd & first half of the 3rd lines of verse 2nd. Pray do something: or say decidedly that she will not alter, & I shall know what to do. I don’t think we differ so much as you suppose. It is one thing to believe that whatever caused the awful cry ‘My God, my God, why hast Thou forsaken me?’ was removed from our dear Lord (which I entirely believe): so that ‘in perfect peace’ He commended His soul to His Father; and another to say that the ‘load of our sins’ was removed from Him: and yet more, that He was ‘absolved’: or in the Hymn words that he was ‘freed’ from it. He ‘died for our sins’. He, died unto sin. I dare not speak of Him as ‘absolved’. I cannot with all the press of proofs & letters write fully now: but I am sure that the difference is less than you think between us: &, as I have throughout said, might easily be removed in that verse. When I can, I will write more. I wish I could write as you do! Now as to a tune or two. I could not bear the constant uncertainty & indeed repeated changes of pages. You know every time a 2nd tune is inserted, or taken away, all future Nos. of pages have to be changed, and plates to be corrected too, now. Up to yesterday even. There were questions of Hymns to be inserted in the ‘General’.—So I settled at Aberystwyth with Monk most of the General Hymns & tunes as to Nos., and as neither he nor I were enamoured of your tune (I mean, ‘Jesu thou art standing’ Footnote 1No. 139 in Dyke’s Collected Tunes (1901). Not published elsewhere. ) especially in the form in which you resolved to keep it (in spite of our joint petition otherwise) we settled to have only the one which Stainer clearly thought quite enough. Indeed we are getting too many double sets of tunes; I don’t know what the price of the Book will have to be – so I the less regret our decision, though truly sorry not to put in what you consider a good tune. I have (for the same, reason of not multiplying double pages) given up my dear dear pet tune, the Old 44th, to the ‘Roseate hues’ Footnote 2167 in the first (1861) edition. & will be content with Stainer’s only: but I must console myself with setting it alone to Hymn 214 Footnote 3Is finally published no. 216 in 1875 (therefore also in AMS). “What time the evening shadows fall” if I be not strongly opposed only in a lower key. At any rate will you try it? I should be so sorry to lose the tune out of the Book. I believe you wanted to write a new D.C.M. to H. 350 Footnote 4As finally published, 357. “How blessed &c” but I dread such a number of new tunes Footnote 5The 1875 revision contained 57 of Dykes’s tunes. , and venture to propose what I think is a favourite of yours to it, viz. St Matthews. It seems to me to suit it well, and it is an old well-known tune. (So give up Winchester Old to it too). I begin to be sadly afraid that the older tunes will be felt to be snubbed in our revised Book. We must represent all tastes still: is has been the secret of our success. Please send me a line soon. I send on the proofs to Monk – they stupidly put 2 of “Bedford” instead of one of it and one of enclosed. But indeed I cannot assent to the new form of ‘I heard the voice of Jesus say’ Footnote 6Compare Dykes’s original, 317 in the 1868 edition with the familiar VOX DELECTI: the original is in four parts throughout. I can’t think what has given you such a liking for unison. I very unwillingly assented to your tune with the bass solo! For ‘Come unto Me ye weary’ and now here is one of your very best and most popular tunes spoiled in like way. Pray don’t press it. Forgive me: but you know there is a proverb about letting ‘well alone’. Did you ever meet with anybody who wished the tune altered? I never did. I have another opinion (R. Randall) against the theology of Mrs Alderson’s hymn. I find I cannot meet my colleagues as they are going to the Brighton Congress. But I send on your letter to them: & by Wednesday I hope to get their decision as to accepting the 2nd verse of Mrs Alderson’s Hymn. It will be none too soon: I fear Clowes will be waiting before that day. Now I must ask you to let me know by that day what Mrs Alderson’s wishes are or what she will kindly consent to. Suppose e.g. that (as Richard Randall, …& all others have said ) (they have not seen your letters nor been asked by me) it is impossible for them to accept the 2nd verse, what will she kindly give as an alternative? Suppose too, that they wish to have only 4 verses, does she consent? I am vexed with myself with having allowed myself to be drawn into a correspondence with you instead of having before this known what her wishes were. If she now expect us to insert the whole Hymn, or does not alter that verse, and my colleagues decide as I expect, it will a serious delay to us. I never ought to have allowed it to be unsettled so long, & and blame myself. Will you kindly get me by Wednesday at the latest something definite in case we do not accept what to me it seems impossible for us to accept. I really do not know what meaning you attach for ‘he died for our sins’. But I cannot write: I dare not: we will talk some day; but I have too much writing just now. P. S. I don’t the least thing you see the tremendous power of the words ‘Purged from sin’s load’; not from the ‘forsaking &c’ but from the load itself of our sins.—Why did he die? Let me just say that you do not understand me; and that your letter this morning odes not at all meet my objections. I do now know one single text of Scripture which authorizes us to talk of our dear Lord being ‘released from the load of our sin:’ but at any rate I dare not say so: never never never could say so; of Him before he had died. ‘At its ending’ is nearly as bad as ‘ere its ending’. ‘He died (really died—not merely ‘suffered’) for our sins’, that is my faith. You will admit, I think, that He bore ‘sorrows’ to the end: and the ‘last loud cry that pierces His Mother’s heart’ (as one of our old Hymns says) proved Him to be strong in death. So this verse is beyond dispute: and surely not a bad verse. I write today to ask my colleagues to accept it & to telegraph to me tomorrow: and I now ask you, my dear friend, to do the same. I enclose a telegraph form ready stamped; please write your reply & send it. Now as to the omission of two verses—which is of course a very minor matter—I am indeed sorry to read in your letter that your sister ‘consents’’ ‘because she cannot hinder it’. Let me say—she can ‘hinder it’. She was very kind indeed to take the trouble to write for us: but I greatly doubt whether my colleagues will not, after reading your letter tomorrow, desire me to reply, that we cannot possibly accept the Hymn at all, as she feels that. I wrote to Mrs Alexander; and only yesterday received the kindest possible letter, omitting two verses and entirely re-writing another for us in a Hymn which she had sent, because she felt the force of what I said, that her original verses (beautiful 8 in themselves) did not suit the time and the congregation at the 3 Hours Service on Good Friday—and I could not help wishing that you had tried to lead Mrs Alderson to look at this matter in the same light. Footnote 7We may suppose that this refers to “Forgive them, O my Father” (AMS 115) written for the 1875 edition. Do you really think that one single person in Monkland Church would understand the 4th verse? Good as it may be in itself. I must honestly say that I myself have not under stood it till your letter came today I did not know what was meant by ‘dim shadows from their graves are fleeting’. I have today desired Miss Paul she is as good and intelligent as any one here, is she not? to read the whole hymn more than once, & that verse especially with great care. I have now asked her what those words refer to, & she says, she ‘supposes to the dead rising’. I thought so too: at least I could attach no other meaning to it than some reference to the ‘graves being opened’ at His Death. You say, ‘with His Death the Shadows of darkness begin to roll away from earth’: quite a different meaning. Now is it expedient & wise to end the Meditations on the Seven Words with so obscure a verse? Surely the answer is ‘no’ and yet if your sister only ‘consents’ because she thinks she ‘cannot hinder’, am I not bound in common gentlemanly courtesy to decline the Hymn altogether? My sister (I have just been to her) thought the same as Miss Paul about that line. So my argument against it is really complete. And if that verse be left out, the preceding one must be. My sister says that those 2 verses are fine as poetry but that for closing Hymn, at such a service, she thinks it so much nicer as we propose. And she very much prefers my proposed emendation of the 2nd verse. Oh! that your good kind sister could but see it so too. Well: I must leave it to you. If you do see your way to saying on her behalf cordially that it may be inserted, 4 verses, the second as now proposed, please telegraph (for this delay is truly very serious to us). P.S. The tune for the Hymn ought also to be settled within a very few days. Would your tune for ‘O Strength & Stay’ do? Or would you rather write another? Not a chant at any rate: and easy. I think ‘Evening’ and that evening don’t do badly: & that your tune for ‘O strength & Stay’ suits it very fairly. But as you wish. Only let me hear soon Footnote 8In the postscripts presumable Baker meant that ‘evening’ associations of STRENGTH AND STAY were appropriate to Mrs Alderson’s hymn. But Dykes composed (or had already composed) the tune COMMENDATIO which was set to the hymn when it did appear – in the form Baker asked for. But in AMR (1950), Baker’s suggestion was after all followed and STRENGTH AND STAY were set to these words – with revised harmony. At that dread eventide let there be light. (In EH, CH and Church Hymnal for the Christian Year, ‘My Saviour’). We may suppose that in the end Dykes as agent for Mrs Alderson, gave in with a good grace. It may well have been an uncomfortable three weeks for the two friends. It is not for us to judge the theological point at issue; the profound paradoxes of the Atonement have proved to be stumbling blocks for others besides these two. But while we are about this matter, we feel that readers might be interested to read another, earlier letter from Baker to Dykes on a quite different subject. It reveals the origin of Baker’s morning hymn, ‘My Father, for another night’. Monk says you don’t like our 2nd tune to ‘Now that the day light fills the sky’. I agree with you that we don’t want a 2nd tune to that Hymn: but I have searched & searched in vain to find any other Morning Hymn to insert & so fill the page. But it has pleased God to enable me to write a short Morning Hymn: which I venture to think is good: & likely to be very useful. I feel quite sure you will like it: & I hope that my colleagues, to whom I sent it yesterday, may also like it. If so, the vacant page caused by omitting, as you wish, the 2nd tune to ‘Now that the daylight’ is free for it. What about the tune? It shd. Be within easy compass for early singing & likely to be popular. Do you car for Edinburgh (H. Smart) in Nisbet’s Book. I shd. Put it in A. Or can you suggest or write another? P.S. Sullivan’s tune to our new 355 Footnote 9Our new 355—as we have see, the number did not in the end follow Baker’s estimates. What is 355. Of the hymns in the 1875 revision carrying tunes by Sullivan only nos 128, ‘Christ is risen’ and 384, ‘To thee, O Lord, our hears we raise’ are new in the sense of not having been the book in 1868. No 128 was first printed in 1862, no 384 in a local book at Bristol in 1864; Sullivan’s tune to 384 was printed in his Church Hymns (1874) and there is a sporting chance that this book was not in print by the date of this letter; so our pricisional conjecture is that Baker here refers to ‘To thee O lord, our hearts we raise’ with Sullivan’s tune GOLDEN SHEAVES. Clear he thought ‘Harvest’ to follow immediately on ‘Lay Helpers’ is very good; he has given us leave to have it. Shall I tempt you to London after Easter? Or not? 1. ^Footnote 1Jump back to footnote 1 in the text No. 139 in Dyke’s Collected Tunes (1901). Not published elsewhere. 2. ^Footnote 2Jump back to footnote 2 in the text 167 in the first (1861) edition. 3. ^Footnote 3Jump back to footnote 3 in the text Is finally published no. 216 in 1875 (therefore also in AMS). 4. ^Footnote 4Jump back to footnote 4 in the text As finally published, 357. 5. ^Footnote 5Jump back to footnote 5 in the text The 1875 revision contained 57 of Dykes’s tunes. 6. ^Footnote 6Jump back to footnote 6 in the text Compare Dykes’s original, 317 in the 1868 edition with the familiar VOX DELECTI: the original is in four parts throughout. 7. ^Footnote 7Jump back to footnote 7 in the text We may suppose that this refers to “Forgive them, O my Father” (AMS 115) written for the 1875 edition. 8. ^Footnote 8Jump back to footnote 8 in the text In the postscripts presumable Baker meant that ‘evening’ associations of STRENGTH AND STAY were appropriate to Mrs Alderson’s hymn. But Dykes composed (or had already composed) the tune COMMENDATIO which was set to the hymn when it did appear – in the form Baker asked for. But in AMR (1950), Baker’s suggestion was after all followed and STRENGTH AND STAY were set to these words – with revised harmony.